Recently, Ken Ying, founder and Chairman o f PATEO Group, disclosed the reasons for giving up car making for the first time in public. Ying says, "I didn't have a full understanding on the automotive industry in the past. After careful study, it is found that car making involves high risks. The more I know about the automotive industry, the more careful I become." In his eyes, the automotive industry now consists of five development stages, i.e., manufacturing of traditional cars, manufacturing of new energy vehicles ("NEVs"), autonomous driving, Telematics and business model. Each stage requires investment to be made in several decades or even a century, especially manufacturing of traditional cars, which has undergone 130 years' development and is featured by huge technical and regulatory barriers. 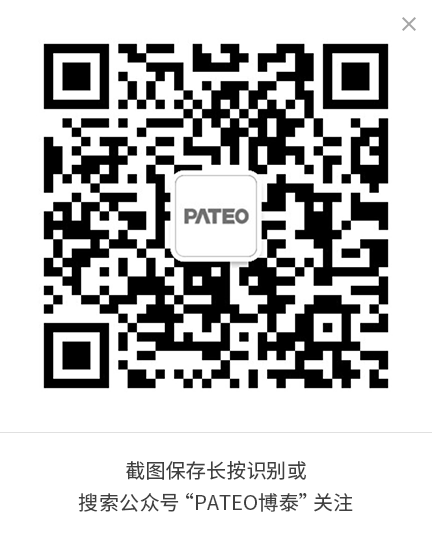 Ying claims that at present, PATEO has paid attention to and taken actions in the fourth stage, Telematics, where it has great advantages. The "soul" of Telematics is software platform, cloud platform, data platform, and the ultimate hardware and software experience. Why do I have such a belief? The more I know about the automotive industry, the more careful I become. According to our experience, the automotive industry has 5 development stages. The first stage is manufacturing of traditional cars, which has undergone 130 years' development and is thus featured by great barriers in terms of technologies and experience, policies and regulations, patents and eco-system, brands and channels, etc. It is obvious that some car models launched in the 1950s and 1960s are very beautiful, but we cannot manufacture them. Why? There are regulatory barriers. The second stage is manufacturing of NEVs, which does good to human society. But if you ask manufacturers of NEVs if generation and recycling of new energies is environmentally friendly, they can give you no guarantee. Every key technical breakthrough in the field of NEVs deserves a Nobel Prize, so PATEO has no advantage in this field. It is said that Tesla Model 3 is an excellent car model whose order volume exceeds 150 thousand during the first 24 hours and exceeds 400 thousand by far. In my eyes, the success of Apple, Huawei, Tesla and Google cannot be duplicated. That is to say, it is almost impossible for PATEO to develop a new car model that is as successful as Model 3 since every company has its unique features. The third stage is advanced driver assistance system and autonomous driving. I think there are two types of companies in this stage. If the automotive industry is featured by progressive development, then companies like Bosch will be more likely to succeed as they have many patents related to car electronics, better adaptability to the electronic age, strong financial strength, advanced technologies and strong R&D ability. But if the automotive industry is featured by subversive development, then companies like Google have better chance to win. There are many Chinese automotive companies that are now working on autonomous driving, such as LeECO, NAVINFO, Baidu, etc. In case of subversive development, there will be no private cars in the city, but a private urban transport system, because despite people's demand for private space, there is no need to maintain so many cars or follow existing car consumption value. Therefore, in the next two to three decades, the automotive industry may not fade with efforts of the government, but may witness subversive development. In a word, the autonomous driving stage has two possibilities, namely, progressive development and subversive development, of which the former is more likely to occur because existing luxury car brands vote for it. The fourth stage is Telematics, which is the only stage that is closely related to users, that is based on intelligent operating system to offer ultimate experience of hardware and software, and that requires real-time access to Internet, cloud computing and big data. Autonomous driving also needs big data, but it relies more on real-time computing which shall be done locally for the sake of timeliness. Therefore, based on Telematics technologies, the company can make efforts to explore autonomous driving and business model, to work on intelligent city, intelligent transportation system and smart home, and to develop portable smart device of smaller size and higher intelligence. The fifth stage is business model. Many start-up companies and BATs are investing in the stage. We believe the business model likely to dominate is that of Uber and DIDI, which helps improve travel efficiency. These are reasons why we shift our focus from car making to Telematics--any of the five stages requires investment in several decades or even a century, and has great potential. Therefore, the deeper understanding I have on the automotive industry, the more I believe that PATEO shall focus on one stage. Sometimes, to give up means "to get the right things done rather than to do things right". So, PATEO will focus on the fourth stage. Suggestions 1: Independent car brands shall make joint efforts to find the "soul"
It is found that most of existing companies attach greater importance to the appearance rather than to the soul of cars, with the latter being the essence of Telematics. Many companies are working on intelligent instrument, console, large screen, rearview mirror, smart key, etc., but these are not components of Telematics. Intelligentization doesn't mean the integration of hardware, function list and a nice HMI. In fact, the soul of Telematics lies in the software platform, cloud platform and data platform, which together help create ultimate user experience. Cloud platform, software and data are an integral part of Telematics, while ultimate user experience of hardware and software is the "soul", including voice platform, map platform and content platform. Developing Telematics products requires heavy investment, which is beyond the ability of any independent brand. Therefore, we hope to cooperate with other independent brands to find the "soul" of Telematics. We have a question: shall we duplicate the development process of Western countries or take a road with Chinese characteristics? For example, giving the sales volume is 1 million cars per year, the costs of developing Telematics products are as follows: T-box requires the investment of RMB 400 million, host computer requires RMB 3 billion to 4 billion, communications package requires RMB 240 million/year (i.e. 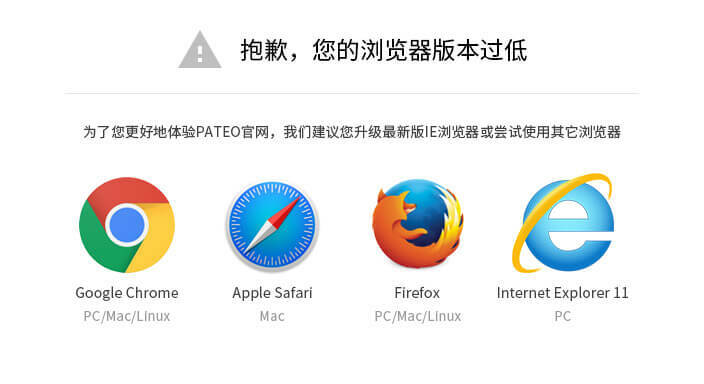 480 million for two years), and operation of call center and server requires RMB 350 million. Top independent brands in China can generate the profit of over RMB 100 million at best, so they can hardly assume the high costs of developing Telematics products assumed by companies in Western countries. Without large user base and high use frequency, there is no foundation for developing Telematics products. For independent Chinese brands, the development road of Telematics shall be featured by low cost, high performance, ultimate experience of hardware, free operation service of cloud platform, no T-BOX call center, and the profit of RMB 600 million/year with the number of users being 1 million. In the future, products covering all scenarios will be developed. Currently, the intelligent terminal is smart phones, but future products will be based on artificial intelligence and of smaller size, and come into being in 2019 or 2020. Of course, our products can be linked to mobile phones, but existing mobile linking technology has the following disadvantages: closed application environment, need for chips, failure in supporting two-way control, compatibility with only Android or IOS operating system, impossibility to exercise full wireless control, etc. PATEO will eliminate such disadvantages by this Aug. Besides, we believe that products covering all scenarios will be developed, and the in-vehicle screen may become redundant in several years. Smart glasses are a promising field, but it's a pity that they can only work 3 hours after charging due to high power consumption, much heat and limited computing power. When developing the next-generation IPDA, we will focus on smart glasses, which might be launched in Q2 of next year. In fact, our message is that reformer of the industry may still remain unknown. As is mentioned by CEO of Nokia, "we didn't do anything wrong, but somehow, we lost." In a word, it is advisable for PATEO to shift its focus from car making to Telematics as we have gained deep understanding on the Telematics industry. As the car consists of about 10,000 parts, the risk of car making may be ten thousand times or more that of developing Telematics products.